For athletes and hunters in general, any kind of surgery is a major decision as it could have a significant impact on their overall health as well as fitness levels. But there is one exception to this case: iLASIK surgery. There are multiple advantages of this advanced eye surgery that frees you from the need to wear lenses or spectacles. With 20/20 vision, you can enjoy excellent clarity and can confidently move ahead in your game. While you may be able to wear contact lenses and eyeglasses in some sports, this may not be possible at all times. For instance, sports which involve jumping, running, wrestling and swimming are quite difficult to manage with lenses or glasses. With glasses, there is the obvious risk of breakage, and lenses can make you feel highly uncomfortable. Hence, LASIK is the ideal solution to counter any vision-related problems for such athletes. 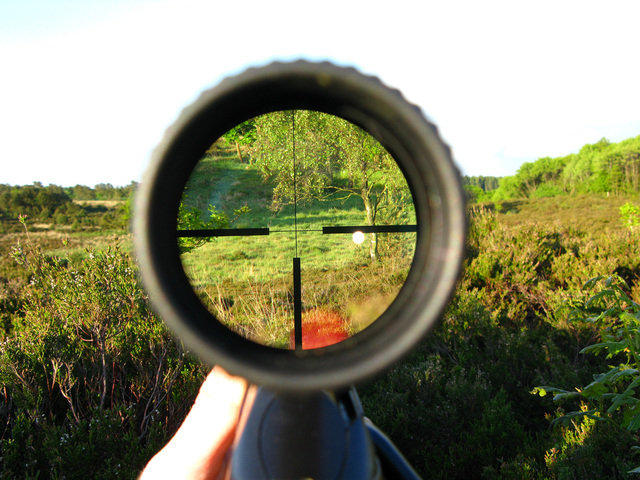 When hunting, sighting through a scope can be very challenging through glasses, and the glasses can bump into the scope, affecting ability to hold steady. Although you can avoid wearing your specs for a game, the absence of proper vision can have a significant impact on your ability to perform well. iLASIK helps you avoid such situations and facilitates clear vision, even in the absence of glasses or lenses. With the LASIK eye surgery, you will be able to enjoy clearer vision and improve your game. We often hear about athletes feeling irritated and losing focus due to the dirt and sweat on their face during a game. This usually leads to eye rubbing and can ultimately damage the cornea of the eye (or the flap). Further, an athlete might also experience Rapid Eye Movement; (REM) during a game, especially when he/she needs to focus hard. The phenomenon of REM could lead to undesirable stress in the eyes and can also trigger an eye infection to the athlete. With LASIK surgery, these risks are completely avoidable. Even though there are numerous factors that help to decide whether an individual is a suitable candidate for this eye surgery, athletes and deer hunters are usually given a green light by most iLASIK surgeons. You simply need to be prepared to take your recovery seriously and stay off the sport for the designated period of time. With proper recovery, you will be on your way to enjoying all the benefits of LASIK and can give your game a massive boost.